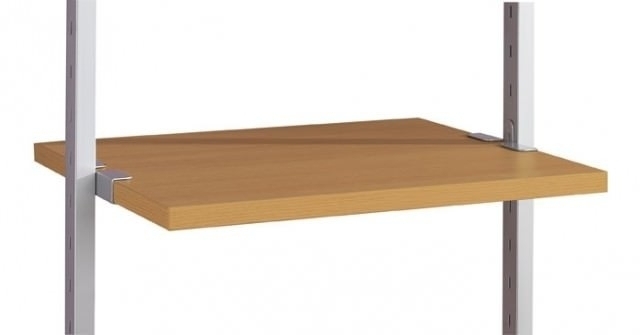 Oak effect shelf for use with the Aura range of wardrobe interior storage, measuring 550mm x 500mm x 25mm. Includes brackets for fitting to Aura post. Aura storage solutions are easy to create as well as being versatile and practical. Aura can be arranged in any number of ways, with a choice of shelves and drawers to create a stylish, wardrobe interior contemporary wall storage display or room divider for any home. With a wealth of hanging, shelving and drawer components to decide from, you'll be spoilt for choice. It's flexible too - as your storage requirements change, you can move the modular components around to suit your needs. Stylish, practical and versatile - the perfect storage solution.